This is an exclusive, Members-only networking event. Registration is free. 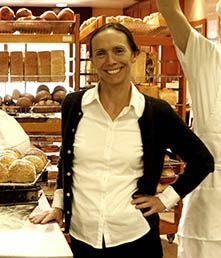 We are delighted that Lesley Gillespie, Co-Founder of Bakers Delight and COBS Bread, will join us during her visit to Vancouver to discuss what it takes for an Australian company to achieve great success in Canada. Take this opportunity to network with fellow CANZBA Members over a glass of wine and join us for what is sure to be an interesting conversation.